Olá amigos! 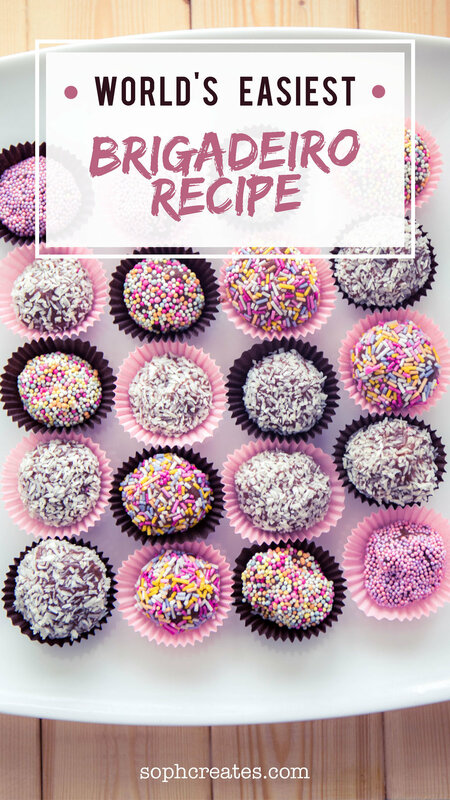 Today we're talking about the delicious Brazilian sweet treat: brigadeiros. My introduction to this bite size beauty was George's sister who decided to make them one night while we were over, so thanks for getting me hooked Vickii! 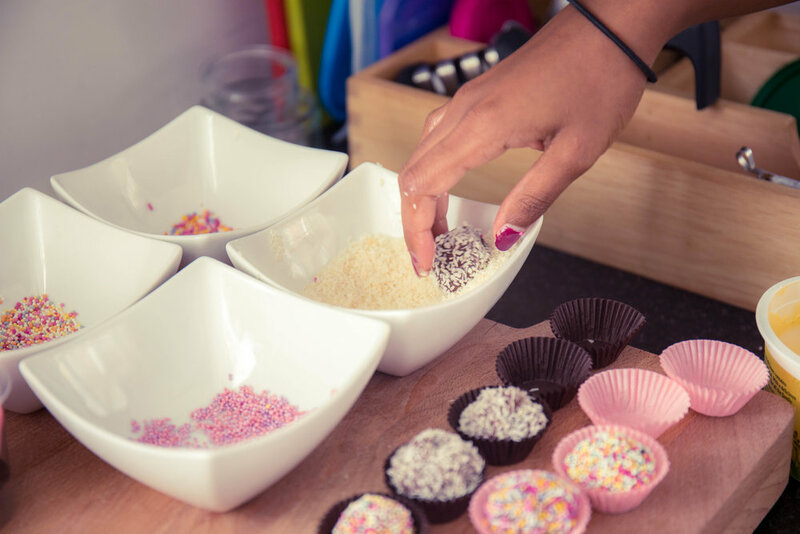 For those of you who don't know yet, brigadeiros are condensed milk, cocoa powder, and butter rolled in sprinkles to make a bomb of deliciousness. So enough chatter let's get straight to this recipe! We went with dessicated coconut as well because YUM. Combine milk, cocoa powder, butter and a pinch of salt in a saucepan over medium-low heat. Put this mixture aside to cool until it's about the firmness of playdoh. Eat them all!! Or put them in cute lil' muffin tins to save for later. Sign up with your email address to receive a weekly round-up of all my latest posts and a special gift!